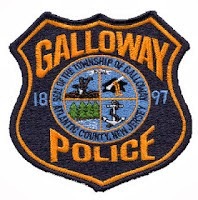 On February 5, 2014 at 4:09pm, Galloway Township Police responded to the 900 block of West White Horse Pike for a suspicious male in the area. Officer Geurcioni, Officer Garrison, and Officer Mooney arrived in the area. Shortly after the officers arrived they discovered a male actively cutting copper from the pipes of a structure behind a home in the 900 block. The Officers surrounded the building and took the male, Jesse Patten, 34, of Galloway into custody. Patten was charged burglary, theft, possession of burglary tools, possession of a hypodermic needle, and possession of drug paraphernalia. Patten was also found to have an outstanding warrant from Galloway Township Court. Patten was processed and released on summons for his charges.